Oakland could have won this game with 7 runs, but they allowed their pitchers to throw Two-Seamers and Sinkers to a team that is not used to the heavy air in Oakland. The Angels got 4 hits off the Two-Seamer and the Sinker. 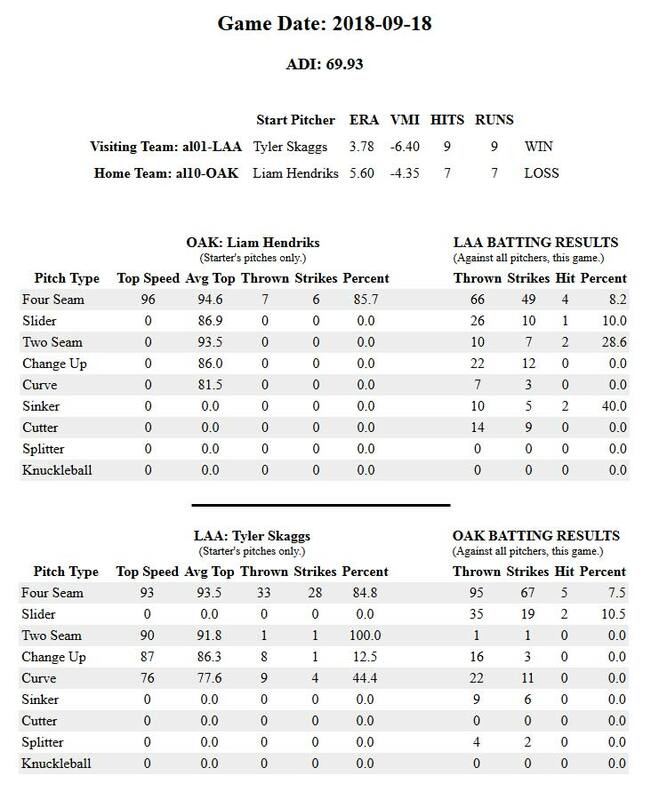 Those 4 hits were most likely the reason the Athletics lost the game, or at least--they were key because the Angels were hitting the "Tight" pitches at an average pace. At a minus 6.40 VMI, the Oakland A's could have avoided those "Reverse" pitches.